Good morning blog public! Did you all have a wonderful Thanksgiving? I hope you did - I did :) - and I hope it left you refreshed and ready to attack Black Friday. 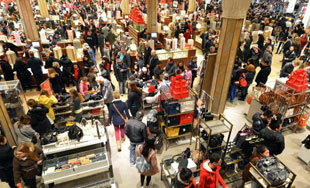 As I type this at 10:30am I know some of you have already been shopping for hours, either in malls or at your keyboard. Good for you. My plans for the day are more modest, I'm planning to put up lights on the house, made a little more interesting by the threat of rain... stay tuned! Here's something not everyone will buy: Order your very own cold fusion reactor. 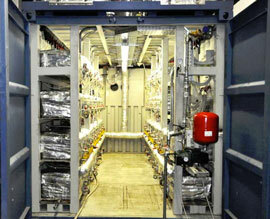 I'm not buying "cold fusion", let alone this $1.5M alleged implementation of it. 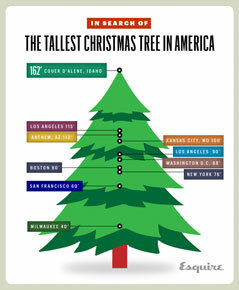 Something else I will be doing soon: In search of the tallest Christmas tree in America. Well, okay, mine will only be about 10' tall, but ... still. A worthy search. So I switched! Yep, I did it; made Chrome my default browser instead of Firefox. This has been brewing for some time; let's face it, Chrome is faster, and it uses less memory. I had tried this before, only to discover that Chrome always opens links in a new tab, and there's no way to change this behavior. Ah ... but there is! Thanks to the simple and functional New Tab, New Window extension, Chrome now opens links in a new window. Onward! This is cool: the world's most incredible libraries. 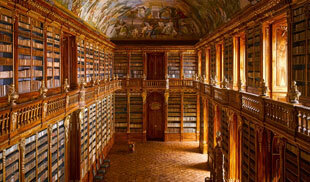 Pictured, the Strahov Abbey library, in Prague. Looks like the perfect place to curl up with your Kindle.